Currently we are monitoring the usage of over 3 million devices connected to TV services. Do you want to know who is watching and using your TV service, when and what? 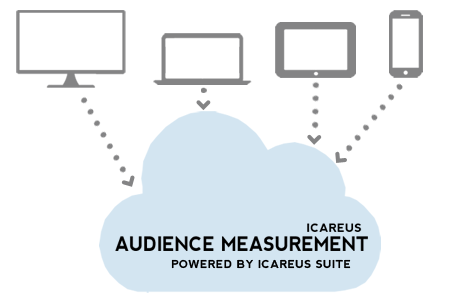 Icareus Audience Measurement™ solution provide tools for TV Operator, Broadcaster or other service providers like ad to collect information about the audience watching or using the TV service. The information can be collected from any application or devices connected to the service including HbbTV devices, set-top boxes, other SmartTVs, tablets, mobile phones and wed services. Segmentation: Age groups, Gender, Geographical Area aetc. 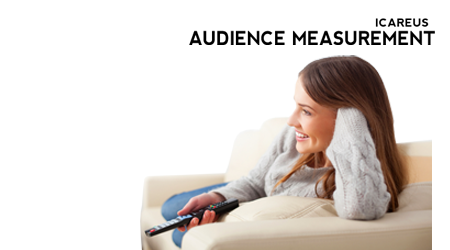 Icareus Audience Measurement is a complete platform to collect user data and monitor user experience of the TV service viewer from both Broadcast and Broadband environments. Icareus Audience Measurement solution collects the data from many different sources and different consumptions. Linear Channel Viewership: Tracking the most popular channels based on device types, devices, channels, regions, events, time etc. iTV Applications: Interactive applications are part of modern broadcast TV. Icareus Audience Monitoring follows and tracks also the usage of Interactive services. Ads: Monetizing the TV content and viewing can be done many dfferent ways, including Ads, which can be broadcast video, IP-video or display ads. 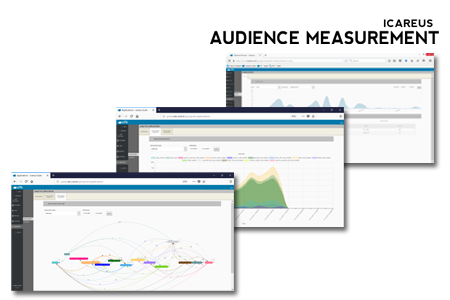 Audience Monitoring solution can track and report all of them.